This acclaimed biography charts the progress of the brilliant, prolific writer, C. S. Lewis. C. S. Lewis was a deeply complex man, capable of inspiring both great devotion and great hostility. This acclaimed biography charts the progress of the clever child from the 'Little End Room' of his Ulster childhood and adult life, exploring Lewis's unwilling conversion to Christianity, the genesis of his writing, and the web of his relationships. C S Lewis A Biography by A.N. Wilson was published by HarperCollins in November 2005 and is our 26534th best seller. 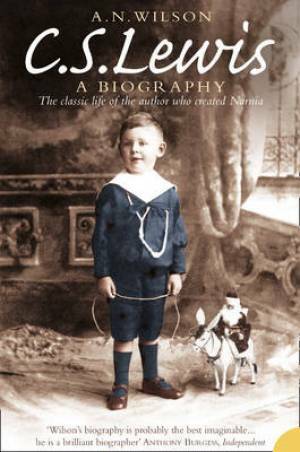 The ISBN for C S Lewis A Biography is 9780007202713. Be the first to review C S Lewis A Biography! Got a question? No problem! Just click here to ask us about C S Lewis A Biography.